When being sick in the hospital is getting kids down, this charity saves the day by kicking up the jams. One of the most potent measures of healing doesn’t come from a person’s lab results, but from their level of happiness. 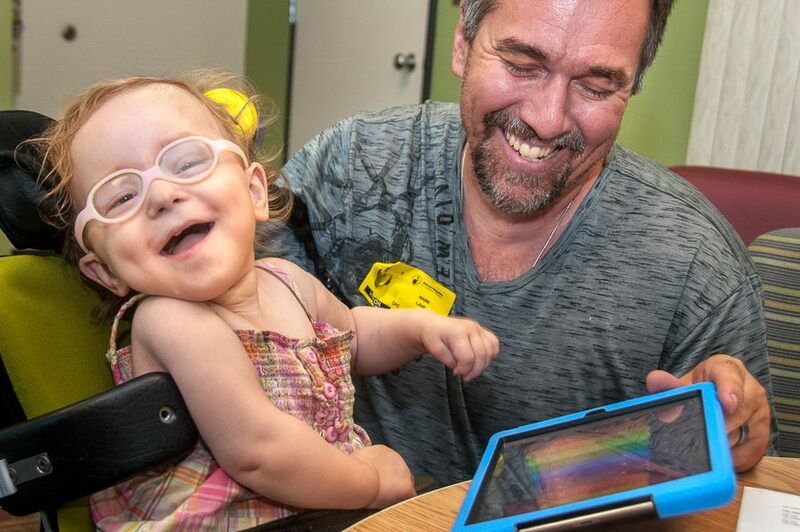 Recognizing that treatment comes in many forms, there is a Portland, Oregon-based nonprofit that strives for just that: helping young hospital patients find joy in every challenging moment through the serendipity of live music. After feeling helpless watching her daughter battle cancer, Regina Ellis wanted to create something she felt would be meaningful to her and her family. She founded the Children’s Cancer Association with which she launched a program called MyMusicRx. which brings well-known artists and top-quality, professional instruments into hospital rooms of critically-ill kids for what she calls “music medicine.” The organization believes that the power of bedside music can have a transformative effect not just on patients and their families, but on caregivers and artists as well. Folks connected to Ellis on the phone to talk about the power of music in the face of illness, and surviving hardship with love. Regina Ellis of the Children’s Cancer Association and MyMusixRx.org. I’m excited to talk to you about MyMusicRx because I’ve admired what you have accomplished with this project. I would love to hear more of its backstory. As you may know, the Children’s Cancer Association is the only organization of our kind in the nation working to position joy as a best practice in children’s hospitals. The project started because of a very personal experience battling cancer with my eldest daughter, Alexandra. During that time, I was inspired by the way Alexandra oriented her head and heart towards life. Even though she had a very aggressive disease and spent half of her life in hospital, she really welcomed each day looking for joy in the corners of the hospital room experience, all amidst hardships such as high dose chemotherapy and other surgical procedures. She could always find what was beautiful in that moment. After Alexandra died in 1995, we brought friends and family around our kitchen table to create an organization that helps kids reduce the stress and anxiety of pain through the power of joy. We were very thoughtful about creating something new in the world: we’re not a chapter organization or a franchise of a national model. We’re a local organization that has spread out across the nation based on need. I understand that the MyMusicRx program serves the families who are in the hospital, as well as their children. Is your goal to speak directly to the experience of the entire family? That is correct. We know from experience that being face-to-face with illness impacts the entire family. The whole family is gathered around the hospital room: not just the mom or dad, but the siblings as well. 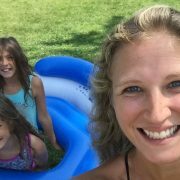 So our goal is that our programs help support and strengthen families, addressing the stress and anxiety not only of the child, but of the individuals around the child. What was your experience when Alexandra was first diagnosed? How did it impact your family? Obviously, it had a big impact. This was around 25 years ago, so I was in my late twenties, with two little children and my husband, Cliff. Luckily, we were very lucky to have a big Italian family around us, but cancer was still this unexpected guest in the middle of it. We were very fortunate to have lots of people around us, but it was also a difficult journey. We spent half of every month in the hospital, and the other half recovering and trying to live as much as possible. Alex created a “To Live” list and wrote down over 30 things that she wanted to do. Things like “make a tie-dye t-shirt” or “bring snickerdoodles to the neighbors” or “have a fun pizza party.” We made a point of checking them all off, even though we were in the hospital. Some of those simple things were really beautiful. The last thing on Alex’s list was: “Have a root beer float in one of those huge icy mugs.” She did that the day before she died. So that was the mission, I think, we were given. To figure out a way to live alongside of cancer that gave us hope and allowed us to be a family. And after Alex died, to think about bringing that healing power of joy to other seriously ill kids around the country and the world. Because kids need more than medicine. 24 years ago, you need to remember there was no platform for music in hospitals. You might have some carolers during the holidays, or a special show when an artist came to the community, but otherwise there was nothing. We pioneered what that looked like. 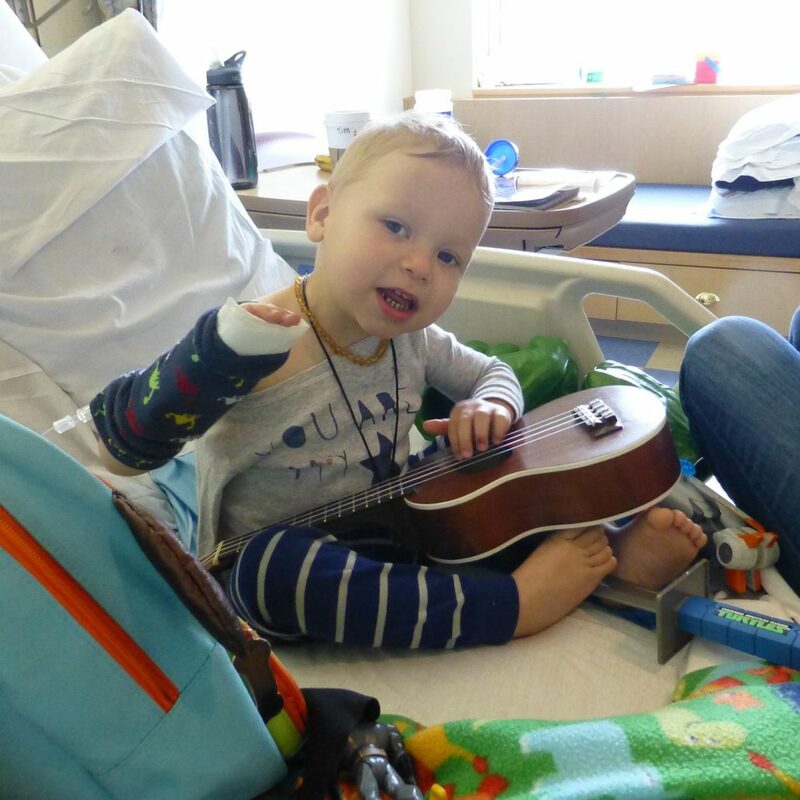 In addition to holding bedside concerts, MyMusicRx brings instruments to patients. Were you already thinking about MyMusicRx when you were in the hospital with Alexandra, or is this something that came later? We saw the power of music in our own family over many years at the hospital. People brought their guitars and harmonicas and violins and voices, and we would gather around the hospital bed, playing, almost like you’re sitting around a campfire. The doctors, nurses, even other families would come in and join that. The power to transform these moments from ones about disease into ones about being human beings through the power of music was profound. I’ve had similar experiences with my travels through healing and hospitals. I think the music idea is so powerful because it doesn’t take a lot to come into a room with an instrument and play for someone who is not feeling very well. Twenty-some years ago, people told us: “This will never work. Are you kidding? We’re in a hospital here. Instruments aren’t going to help. There’s no way.” But little by little, we began to demonstrate that our program worked to reduce pain and stress. MyMusicRx is the only program that extends a digital musical program that brings the bedside experience online, 24/7. It’s now available to about 7,500 kids and over 25 pediatric hospitals across the country. If kids want music at 2:00AM, we bring it to them then. Was music a big part of your life before MyMusicRx? I was certainly a fan. I wouldn’t call myself a musician but I’m just pretty damn good with a tambourine. *laughs* But I had the privilege of having incredible musicians provide the soundtrack to my life, so when the time came, it was easy to see the power that music could provide to deliver healing to kids in a different way. We believe that the best things are the simplest things. Whether it is five or thirty minutes a day, we believe these small musical interactions are just critical for kids who are facing life-threatening or terminal illnesses. That’s awesome. So how can people get involved? How can they help? Whether you’re a band member, a volunteer, or a patient, the best way to connect with us is to go to mymusicrx.org. If there’s something in your community, we can connect you, and if not, we’ll help you start one. Just reach out! We’ll help in any way we can to share music and joy to people in need.